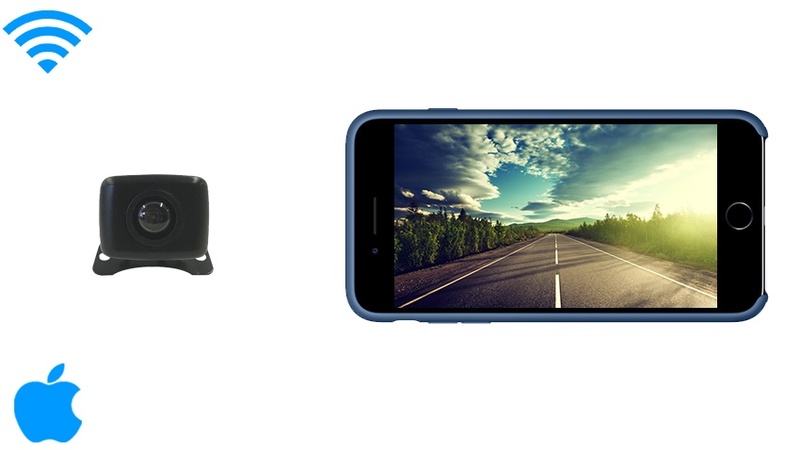 This iOS WiFi backup camera is a great solution for those want a backup camera displayed on their iPhone. The camera creates wifi network and once your mobile phone connects to it out app will show you the camera when you go in reverse. You can also change the setting on the app to leave the camera on continuously. A common question we get asked is; if you can still use the internet while you're connected to the backup camera and the answer is yes. Only the TadiBrothers wifi camera will allow your internet to function when you're hooked up to the camera. The setup is very simple, connect the camera to power, download the app, log in 1 time and you’re done. The backup camera will work every time. This is also available for Android phones, just change the operating system at the top right of the page. 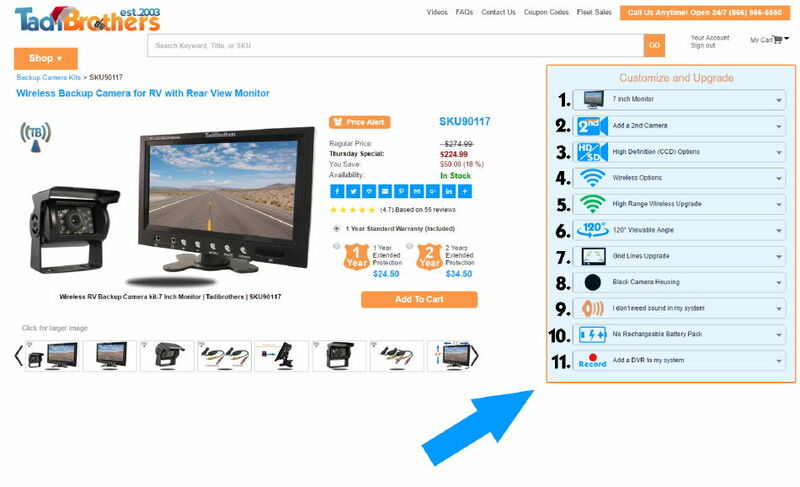 You can even upgrade the camera to be compatible with recording by using the same menu at the top of the page. The range on this wireless camera is 15-20ft, if you are looking a longer range you can add a 65ft extender pack from the options at the top right of the page. These Wi-Fi rear view products are compatible with all of our backup cameras, though this system comes preconfigured with our entry lever ice cube camera you can upgrade to any of our backup cameras by using the “Customize and Upgrade” menu at the top right of the page. Here are a few complete wi-fi, iOS and Android systems for mobile phones and tablets.